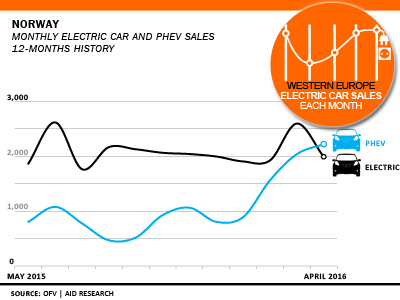 Coming in the wake of March sales, which provided the first hint as to which way the wind is blowing, April was the first month that Norway’s closely observed electric cars were outsold by the latest generation of Plug-in hybrids. I think this is understandable. BEVs are great, but I wouldn't want 2 of them in my household. Even though I have a Tesla Model 3 reservation, I'd still prefer a 100 mile with a range extender. In Norway many people have small trailers. Weekend trips to a cabin and home improvement projects are popular. Most plug-in hybrid vehicles have tow ratings, but the full electric vehicles don't.